Maybe you thought you were the only one who didn't actually know, but that's where you're wrong. Credit cards and debit cards have real differences, and not knowing what they are can create major problems for college students. First, credit and debit cards represent different kinds of money. Debit cards take money from your checking account. Credit cards are a short-term loan from a credit agency that you get a bill for later. To make it more understandable for students, Kelly Rogers of the Consumer Credit Counseling Service of Orange County calls them by different names. She refers to debit cards as "check cards." "A debit card is like writing an electronic check," said Rogers. "It has nothing to do with borrowing. It has nothing to do with building credit." Credit cards, on the other hand, she calls "loan cards." When you make a purchase on a credit card, the bank is giving you a small loan for that purchase. Pay off the loan by your due date, and you don't owe a penny over what you bought. But you can also choose to pay it off over time, which means the credit card company will charge interest. Often, students perceive credit cards to be the riskier option, said Bruce McClary, spokesman for Clearpoint Credit Counseling Solutions, a nonprofit credit counselor, but that's not always so. Debit cards don't always enjoy the same safeguards against fraud that credit cards do, so if your card is stolen, you could stand to lose an amount equal to whatever that thief buys--though in many cases, they'll have to hack your PIN (personal identification number) first. "If you lose that debit card, you'd better be all over it," said McClary. "The clock is ticking, and you stand to lose everything in your checking account." Yet there's a more everyday, and pervasive danger: Many students, he said, use debit cards too often and end up with expensive overdraft fees. Monica Reida, student at DePaul University in Chicago, felt the sting of overdraft fees when she bought TheraFlu and tissues at a drugstore. A previous deposit hadn't cleared, and her bank account had "overdraft privilege" – AKA they'll loan you the money for your purchase but charge you a hefty fee for that privilege. Reida says the incident made her more careful with how she uses her debit card. "Now I try to space out my purchases so that everything can clear in time. My bank does have online banking, so I can check to see if a deposit has cleared," Reida said. "I ask students, 'Would you ever take a loan with a 60% interest rate?' If you don't keep good track of your transactions, there can be extra costs involved with using a debit card," Rogers said. When keeping track of what you've bought, you should know that not all transactions with a debit card are instantly drawn out of your account. Some could take days or even a week to clear. "If you're asked to use your personal identification number (PIN) when you sign for your purchase, then a transaction is instantly debited from your account," Rogers said. "If you just sign for it, it may take awhile to clear." In addition, using a debit card doesn't help build up a credit score. Even if you've used your debit card for years, with no overdraft charges, it won't help you when you want to buy your first car or get your first apartment. With credit or debit, McClary says students should use caution, read the fine print and be careful not to take on more than they can handle. "For college students who are getting credit, just make sure it's not more credit you can afford when you're in school," McClary said. " It's very critical to manage your credit wisely. It takes years to undo a misstep early on." Banks aren't just watching how much you owe or what you have in your account. They're also paying attention to what you purchase. "Sometimes the items that you buy might cause concerns," McClary said. "Traffic tickets and court fees. Suddenly using a credit card a lot for purchases like liquor or expensive items. " 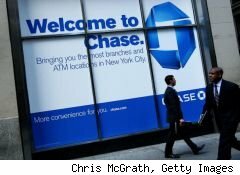 Those kinds of charges make you seem like a risky bet to companies that want to make sure they get paid, which could cause them to raise your interest rates or lower your credit limit. And it's not just big-ticket items that make a company think twice about you as a customer. "Don't put a candy bar on your credit card," McClary said. "That says 'I don't have a dollar in my wallet to buy a candy bar or to pay my bill.'" Overall, credit advisers tell students to shop around, think twice and be careful about their financial decisions. "You don't have to accept the first of the five credit card offers in your mailbox," Rogers said. "Shop around, ask questions and be informed. Credit and debit cards are great tools, but they can cause trouble when you don't know what you're doing."